into a personal authentication device. To download the app, access this site on your mobile browser. Enter your email address below and we will send you a handy link! We at Entersekt went looking for a solution to safe, hassle-free online banking, and we found it in your pocket. Our engineers spent years perfecting an entirely new way to keep your money and information safe, one that replaces cumbersome one-time passwords and guarantees safe transacting on the Internet. 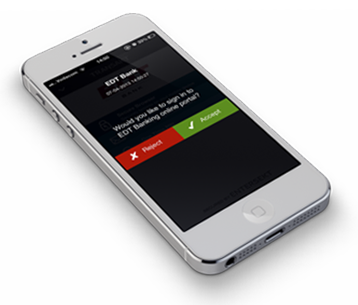 We call it Transakt, a patented mobile app that transforms your phone into a personal authentication device.